At the World Conference on Marine Biodiversity in Montreal (Canada), Prof. Dr. Carlos M. Duarte received the first Carlo Heip International Award for outstanding accomplishments in marine biodiversity science. Carlos Duarte is a worldwide leading authority on the ecology of seagrasses and is considered one of the most versatile aquatic ecologist of his generation. Prof. Dr. Carlos M. Duarte is the Director of the Red Sea Research Center and the Tarek Ahmed Juffalli Chair in Red Sea Ecology of King Abdullah University of Science Technology (Kingdom of Saudi Arabia). Independence, creativity, serendipity, and interdisciplinary linking of thought-to-be separate fields characterize his research. He is a leading authority on seagrasses and has published on all aspects of seagrass ecology, from population biology to genetics, from depth and geographical distribution patterns to their role in biogeochemical cycles, and from conservation strategies to their sensitivity to climate change. To date, Carlos has over 630 publications cited 42,000 times. During the last decade, his publications have been instrumental in advancing our understanding of the impact of climate change on marine ecosystems, organisms and biodiversity. He has also contributed original work to science in support of policy and management towards sustainable use of ecosystems. Finally Carlos Duarte, together with the late Carlo Heip, initiated the World Marine Biodiversity Conference series and organized and chaired the first of these conferences in Valencia, Spain. The Carlo Heip International Award for outstanding accomplishments in marine biodiversity science was inaugurated in recognition of Carlo Heip’s leadership in marine biodiversity research and founding of the ‘World Conference on Marine Biodiversity’. 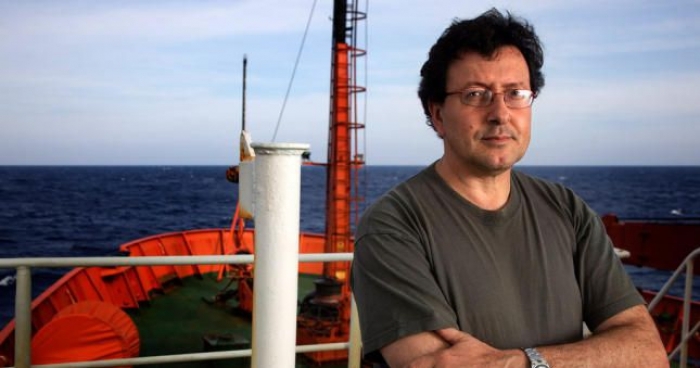 Carlo Heip (1945 – 2013) was an eminent scientist and a committed intellectual who as a researcher contributed to the better preservation of the marine environment. He studied Biology at Ghent University, where he founded the marine biology research group after he graduated. In 1987, he became director of the Delta Institute in Yerseke, which was incorporated into the Netherlands Institute for Ecology (NIOO) as the Centre for Estuarine and Marine Ecology (CEME) in 1992 and has been a division of NIOZ since 2012. In 2006, Carlo Heip was appointed general director at NIOZ on Texel. He retired in 2011. His first research project involved population dynamics, ecology and the ecotoxicology of benthic life. Later, his focus shifted to the link between biodiversity and the functioning of ecosystems. Carlo Heip has over 150 articles to his name and he has edited several books. He was a source of inspiration for many national and international initiatives in the field of marine research. He played an important part in promoting European research into land-ocean interaction, and into ecological processes in estuaries, in particular. He was responsible for numerous EU projects. The most important of these EU projects was MARBEF (Marine Biodiversity and Ecosystem Functioning), in which taxonomists and ecologists worked together on a European scale to strengthen our understanding of marine biodiversity and ecosystem function and support the protection of marine biodiversity. This project made a significant contribution to worldwide initiatives to better describe and understand the importance and variety of organisms in the sea.